With more than 40 years’ experience, FES International has a proven track record in the design, manufacture and supply of products for the oil, gas and offshore renewable energy markets. The company combines technical innovation with excellent customer service, delivering safe, efficient and cost-effective solutions, tailored to meet customer demands and market needs. Experts in engineering, the company employs highly-qualified technical personnel, at their Blyth facility, across all areas of a project, from design; including FEA analysis and modelling, draughting (on the latest 3D software), machining and manufacture and assembly and testing. FES International can also provide installation, commissioning and support specialists to the client on site. Even after a project is operational, our team is always available to the client for assistance and support, ensuring the best service and best quality at all times. In doing so the company is committed to delivering a quality engineered solution on time and in the most cost-effective way possible. FES International designs, manufactures and supplies a broad range of fluid transfer systems. In particular, the FES team has devised a unique disconnectable transfer system (DTS) that can be installed to a dynamically positioned (DP) or moored FPSO, either as a new build or retrospectively fitted to an existing vessel. The system enables the simultaneous transfer of fluids from subsea wellheads to the vessel, with automated connection and disconnection built-in, removing the need for manual intervention. Critically, FES International systems can be disconnected within 40 seconds in the event of an emergency or drive-off scenario. FES International can provide customers with a whole range of swivel systems, including production, gas, hydraulic and utility, chemical injection, single, in-line and multipath designs. 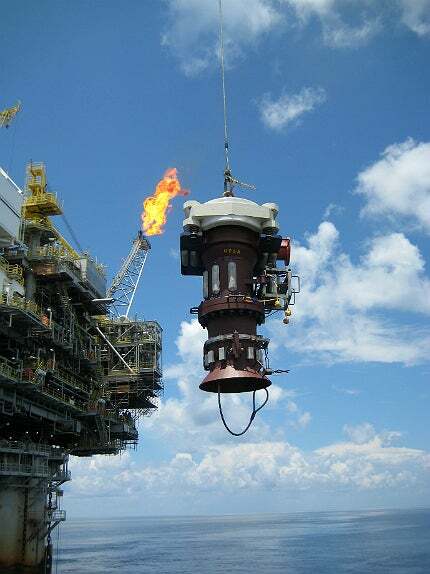 Our swivel systems have been developed to operate among high pressure ranges and can function from zero to 10,000 psi. The product offers a multiple sealing system, including leak detection, and can operate with a diverse range of fluids. FES International offers customers a choice of stab plates with hydraulic and electrical connections. The company designs bespoke stab plates, meeting clients’ individual specifications. Specifically, we have developed our own automatic disconnection system, which enables quick release disconnections from only 15 seconds, significantly improving on existing disconnection speeds available with other products on the market. FES International offers customers a range of DBSCs, enabling quick, efficient and cost-effective installation of bend stiffeners to I / J tubes, often in very congested and confined spaces. The FES DBSC is a flexible design that can be tailored to suit the specific and individual requirements of both the project and end user, for particularly challenging projects from technical, commercial and delivery perspectives. FES International can provide ROV hot stabs in a variety of materials designed to suit project requirements. Our range includes a proprietary design of hot stabs, ranging from half of-an-inch to eight inches in size, and the standard API 17D/17H/ ISO 13628-8 models. For sizes of four inches and greater, where the insertion forces are higher, we have developed a unique, hydraulically-operated hot stab, which enables the quick and safe transfer of fluids, without the need for a diver / ROV to provide the insertion / retraction forces. The product incorporates a dual seal system and can operate at pressure ranges of zero to 15,000 psi. FES International designs, manufactures and supplies a broad range of PBWL couplings. Ranging in size up to 12 inch bore, the product operates in pressures of zero to 10,000 psi with a break load of up to ten Te. An optional internal valving system also ensures minimal fluid loss on disconnection. FES International was established in 1997 in Blyth, Northumberland, UK.